Length about 8mm not including legs. Found crawling about at night, White Canyon Wilderness, Pinal Co., Arizona. March 2014. Strictly nocturnal arachnids that are probably scavengers although little has been studied as to food habits. Not venomous and not likely to inflict any sort of bite. Some may release an unpleasant odor if disturbed. 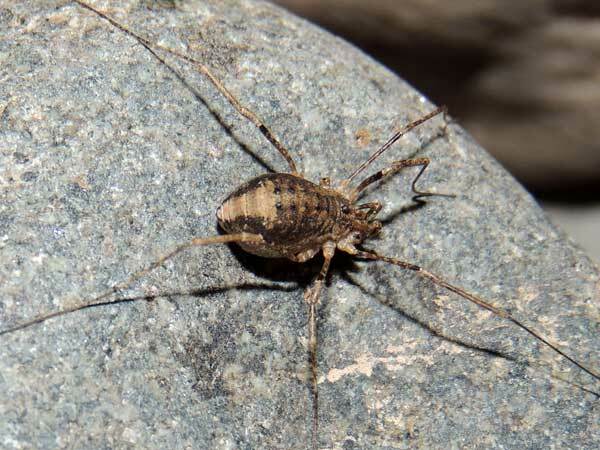 Note that the body appears unsegmented, unlike spiders that have two main body segments. I searched many images on the Internet and have been unable to find an image of this species.